Following a recent delay because “it takes longer to build things right,” Toronto-based developer Snowman confirmed today that Alto’s Odyssey, the official sequel to the award-winning endless snowboard game Alto’s Adventure, will be launching in App Store on Thursday, February 22. “We’re so proud of the game we’re releasing this month and think the extra time has given us the chance to bring players a world that feels even more alive and responsive,” said Snowman. Along the way, you’ll grind across vines, bounce atop hot air balloons, ride towering rock walls and escape mischievous lemurs, all while uncovering the desert’s many mysteries. Ahead of the scheduled launch, Snowman debuted its final launch trailer for the game. The game can be pre-ordered on App Store starting today. You will not be charged for your purchase until Alto’s Odyssey actually becomes available to download. Like the previous game, a single $4.99 purchase lets you play Alto’s Odyssey on your iPhone, iPad, iPod touch and the fourth or fifth-generation Apple TV. I’m a huge fan of the original 2015 game and Snowman was kind enough to include me in their beta program for the sequel. Having played Alto’s Odyssey for the past few days, I can honestly says it more than lives up to Alto’s Odyssey reputation. The game will be instantly familiar to anyone who has spent a few minutes playing the original game, which is a good thing, yet it brings a ton of enhancements and new features making it feel like a whole new release. Unfortunately, I cannot share more detailed impressions of Alto’s Odyssey or show you any in-game screenshots or videos because I’m bound by the embargo. I had always wanted Alto’s Adventure to be the beginning of a story for our cast of characters that we could tell over many years. As part of this, I’ve had my own ideas about where we might take these characters next for a long time. Even before the launch of Alto’s Adventure! With that said it was very important with this followup to capture a specific feeling. We spent a lot of time talking together and thinking about what emotions we might want to stir in players before really committing to development. 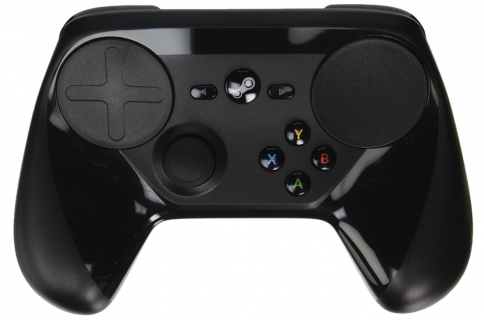 We didn’t want to treat another Alto game like a foregone conclusion because of the success of the first title. At every level, we approached the idea of a second title like a new experience in the same universe, not a sequel. The game supports iCloud syncing of your progress across devices, Game Center leaderboards and achievements, unlockable characters, a Zen mode focused on exploration, new gameplay elements such as jumping off balloons and walls, skimming across rivers and more. Easy to learn, difficult to master—At the heart of the Alto series is an elegant one-touch trick system. Chain together combos, and complete 180 goals, all with intuitive controls. Explore Biomes—From the dunes, to the canyons, to the temples, explore a rich and diverse landscape, with each area boasting unique visuals and gameplay. Newfound heights—Discover secrets in the sky with hot-air balloons, moving grind rails, and wall riding. Zen Mode—Complete with its own serene soundtrack, this relaxing mode distills Odyssey down to its purest elements: no scores, no coins, and no power-ups. Just you and the endless desert. Photo Mode—From the pause screen, get behind the lens and take stunning photos of your trip through the desert. Pinch, swipe, pan and zoom to frame the ideal shot, and share them with friends and family. Original music and handcrafted audio—Headphones recommended! Universal app with iCloud support—Play on your iPhone, iPad and Apple TV, and have your progress always in sync. The game requires iOS 10 or later. 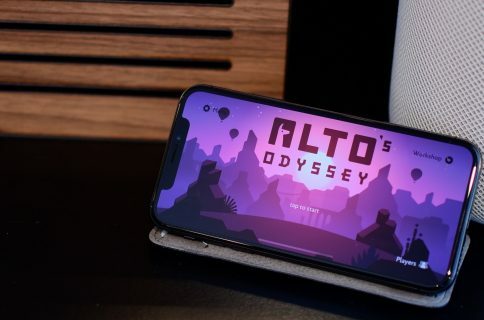 Developers have worked with Apple on an Alto’s Odyssey sneak peek story in App Store. 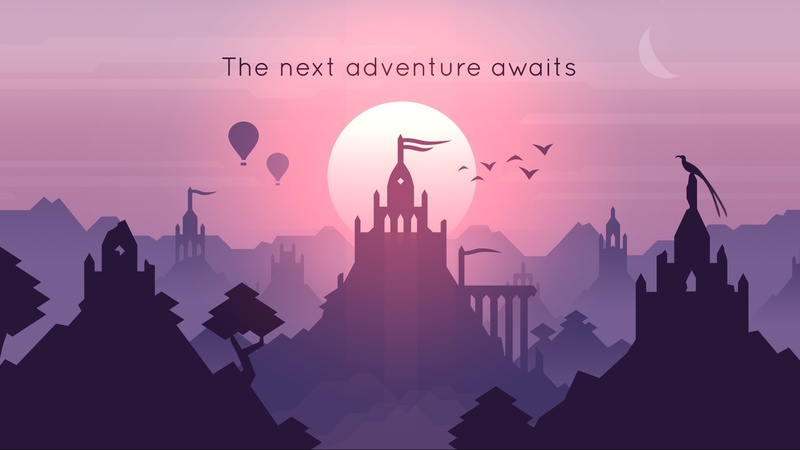 For those wondering, Alto’s Odyssey is a being billed as a premium new release from Snowman with no in-game advertising or In-App Purchases whatsoever. To learn more, visit the official Alto’s Odyssey website. 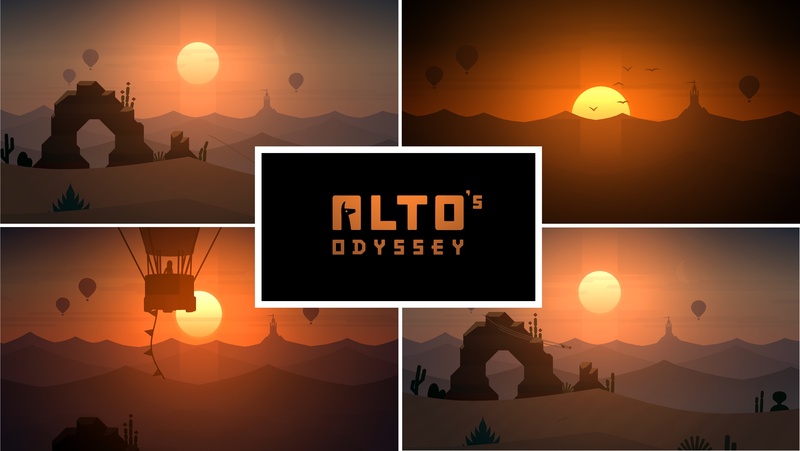 Pre-order Alto’s Odyssey for iPhone, iPad and Apple TV $4.99 from App Store. Are you looking forward to playing Alto’s Odyssey?